Today we get FCO (full corporate offer) from trading company offering Brazilian sugar Icumsa45.after running over this offer we realized that many seller and buyer(new gamer in this type of deal) have no knowledge how to play the game. We decline this offer as terms listed in are not safe for buyer. In other words buyer will face big risk of money lost. We will go thru this offer in other post to explain our view and the decline reason, but today we decided to share some info and replay to some question regarding the BG (bank guaranty) use in the sugar trade. Bank guarantees are commonly used financial instruments in the sugar industry. Primarily they are used to provide protection to the seller, and an assurance that no matter what happens on the buyer’s end, funds are in place and available to pay the seller upon shipping of the contractually agreed upon goods. Though a bank guarantee is a fairly simple financial instrument, it has a wide range of potential uses, and it is also open to possible fraud. This article provides essential information for buyers regarding bank guarantees, their various uses, and the pitfalls associated with them. A bank guarantee is a written obligation, or guarantee, from an issuing bank promising to pay a set sum of money to a beneficiary who is doing business with a client of the bank’s, in the event that the bank’s client defaults on the payment contractually promised to the beneficiary. How Do I Get A Bank Guarantee? Bank guarantees can be obtained from most major banks by approaching an officer of the bank and requesting a bank guarantee. You will need to be a client of the bank, and you will be required to provide collateral to cover the full amount of the bank guarantee. Once you commit sufficient collateral, your bank will then issue a bank guarantee on your behalf to the beneficiary of your choice. There are two main types of bank guarantee. The first of these is a Direct Bank Guarantee. A direct bank guarantee is a guarantee which will result in payment directly to the beneficiary. The second type of bank guarantee is an Indirect Bank Guarantee. An indirect bank guarantee is payable not directly to the beneficiary, but to the beneficiary’s bank. The beneficiary is the person who has authority to draw on the bank guarantee in the event that the bank’s client fails to make payment. The beneficiary is named specifically on the bank guarantee, and can claim the full value of the bank guarantee at such time as he or she makes proper claim that they have not received payment for the provision of goods or services. The issuing bank is the bank which is providing the guarantee to the beneficiary, on behalf of their client. The issuing bank is legally required to make full payment on the bank guarantee if the conditions laid out in the bank guarantee are met. Bank guarantees can be used in a variety of ways to cover different trading scenarios. The following are three types of guarantee usage which range from being so common as to be standard practice in international sugar trading, to being relatively rare. A payment guarantee is simply an assurance provided by the buyer to the seller that payment will be made upon shipping of goods. 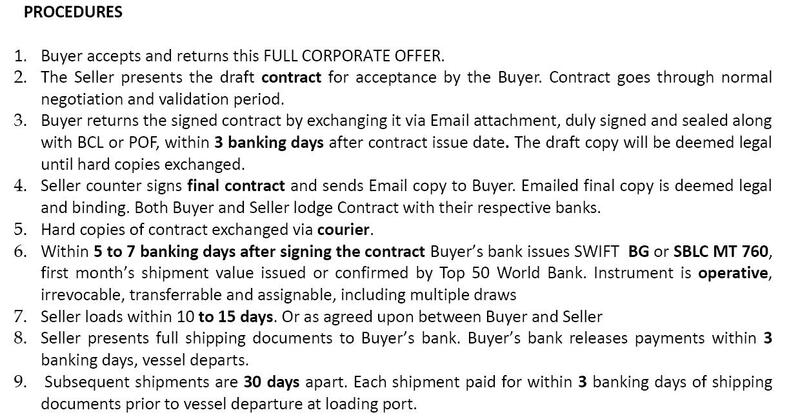 This is the most common form of bank guarantee usage in the global sugar trading industry, and buyers can expect most sellers to request a bank guarantee for the purpose of securing payment in the case of the buyer defaulting on the contract. A performance bond guarantee is a bank guarantee which is issued by the seller and given to the buyer. If the seller fails to meet the terms of the contract, then the buyer is entitled to claim payment on the bank guarantee, which is normally around ten percent of the total value stipulated on the contract. It is standard practice for the seller to issue the buyer a performance bond guarantee. If the seller has requested an advance payment, then the buyer can request a bank guarantee to cover the advance payment in the event that the seller fails to fulfill its obligations as stipulated in the contract. This is rarely needed in sugar trading, as payment is usually made by a letter of credit, under which payment is only made to the seller in the event that the conditions of the contract are fulfilled. Can You Transfer A Bank Guarantee? It is possible for the beneficiary of a bank guarantee to assign some or all of the proceeds of a bank guarantee to another party. However it is not possible for the beneficiary to assign drawing rights to another party. In other words, the beneficiary can inform the issuing bank that they would like the proceeds of the bank guarantee to go to another party, but the other party cannot then draw on the bank guarantee themselves, rather the beneficiary will have to instruct the bank to pay the proceeds of the bank guarantee to the assigned entity. In order to transfer the proceeds of a bank guarantee, the written permission of the issuing bank and the beneficiary is required. Are Bank Guarantees Traded On The Public Market? No. If you see a bank guarantee being traded on the public market, then that bank guarantee is a fraudulent forgery not worth the paper it is printed on. Bank guarantees are private agreements between a bank, its client, and a beneficiary – they are not tradeable items. Obtaining a bank guarantee means approaching your bank, requesting a bank guarantee, and putting up sufficient collateral to secure it. Any other means of obtaining a bank guarantee are illegal and fraudulent, except for very rare circumstances which are connected with business financing and insurance, and have nothing to do with sugar trading whatsoever. 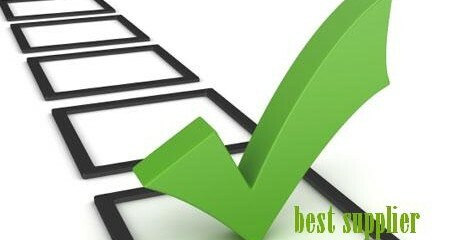 These are some common pitfalls which can easily cause problems when applying for or accepting bank guarantees. Correct Beneficiary Details – It sounds easy enough to get right, but if the details on the bank guarantee do not match the beneficiary’s actual details, then the bank guarantee may be void. Correct Date – Bank guarantees only come into effect at a certain date, and they also have expiry dates. Ensure that there is a reasonable period of time in which you can draw on the bank guarantee, if you are receiving one, or that the seller will have enough time to draw on the bank guarantee, if you are sending one. Correct Contract Details – The contract which the bank guarantee refers to will be referenced in the bank guarantee. Ensure that the details provided on the bank guarantee match the contract. Essentially, you must check and double check that all details listed on the bank guarantee are correct, otherwise the bank guarantee could have no value whatsoever. The prospect of bank guarantee fraud is a scary one, because it potentially involves the loss of millions of dollars. However, the good news is that you can keep yourself safe by following some common sense procedures when it comes time to obtaining a bank guarantee, or accepting one. First, a warning. If you are given a bank guarantee that you suspect is false, it is not a good idea to take it to a bank to have it checked. Doing so is rather akin to walking into a police station with a suitcase full of cocaine to ask them if it is the real thing. Many people have been arrested in banks after simply trying to authenticate fraudulent bank guarantees. If you suspect there is a problem with a bank guarantee, have your attorney deal with the issue. Listed below are some common forms of bank guarantee fraud that have been encountered in the sugar trading industry. So you need a bank guarantee to secure a load of sugar, but you don’t have millions of dollars in collateral to put up. It seems like all is lost, and then somebody offers you a one million dollar bank guarantee, and all you have to do is pay $600,000. Sounds like a bargain, right? Wrong. There is no such thing as a legally discounted bank guarantee. Normally this type of bank guarantee fraud is part of an investment scam, but sugar buyers can occasionally be caught up with the same people who are trying to exploit unwary would be investors. Occasionally, offers to lease a bank guarantee are made available in various venues. This can be a tempting offer for someone who is having trouble coming up with the collateral to secure a bank guarantee directly from their own bank, but please do avoid the temptation, as these types of offers invariably involve fraud somewhere along the way, and are always completely useless when push comes to shove. The typical spiel goes that for a fraction of the cost of a real bank guarantee, you can lease someone else’s’. You put up the funds in advance, and then in theory, you have the use of the bank guarantee. Unfortunately, that’s not what happens. The bank guarantee being leased may be a forged document, or it could be the real thing. Even if it is the real deal, it is effectively useless because you cannot draw on it without the permission of the person who leased it to you. Almost 100% of the time that permission is not given, and you are out a large sum of money whilst the person who offered the lease in the first place gets away scot free. If a seller is trying to offer you a performance bond bank guarantee from Bob’s Bank in the Seychelles, politely decline to do business with that seller. Bank guarantees should always be issued by a top 25 world bank. The problem with smaller banks is that they cannot always be held liable if they fail to uphold their guarantees, and major banks in the USA may actually be unable to do business with them even if they are above board, due to provisions in the patriot act. If you are seeking a bank guarantee for the purposes of securing a shipment of sugar, then a fraudulent bank guarantee is one which you obtained in any fashion other than approaching your bank, putting up the necessary collateral, and obtaining a bank guarantee directly from them. If you are accepting a bank guarantee from a seller as a performance bond, make sure that it is well scrutinized by your lawyer.